↑ Finkel، B.F. (1897). "Biography- Leonard Euler". The American Mathematical Monthly 4 (12): 297–302. doi:10.2307/2968971. ↑ Euler's Dissertation De Sono : E002. Translated & Annotated by Ian Bruce. (PDF) . 17centurymaths.com. Retrieved on 2011-09-14. ↑ Calinger، Ronald (1996). "Leonhard Euler: The First St. Petersburg Years (1727–1741)". Historia Mathematica 23 (2): 156. doi:10.1006/hmat.1996.0015. ↑ Calinger، Ronald (1996). "Leonhard Euler: The First St. Petersburg Years (1727–1741)". Historia Mathematica 23 (2): 125. doi:10.1006/hmat.1996.0015. ↑ Calinger، Ronald (1996). "Leonhard Euler: The First St. Petersburg Years (1727–1741)". Historia Mathematica 23 (2): 124. doi:10.1006/hmat.1996.0015. ↑ Calinger، Ronald (1996). "Leonhard Euler: The First St. Petersburg Years (1727–1741)". Historia Mathematica 23 (2): 128–129. doi:10.1006/hmat.1996.0015. ↑ I.R. Gekker؛ A.A. Euler۔ "Leonhard Euler's family and descendants"۔ بہ N.N. Bogoliubov؛ G.K. Mikhaĭlov؛ A.P. Yushkevich۔ Euler and modern science۔ Mathematical Association of America۔ آئی ایس بی این 0-88385-564-X۔ ، p. 405. ↑ Alexanderson، Gerald (July 2006). 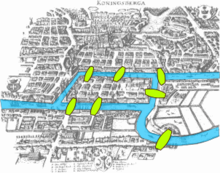 "Euler and Königsberg's bridges: a historical view". Bulletin of the American Mathematical Society 43 (4): 567. doi:10.1090/S0273-0979-06-01130-X. ↑ Calinger، Ronald (1996). "Leonhard Euler: The First St. Petersburg Years (1727–1741)". Historia Mathematica 23 (2): 144–145. doi:10.1006/hmat.1996.0015. Lexikon der Naturwissenschaftler، (2000)، Heidelberg: Spektrum Akademischer Verlag. Bogolyubov، Mikhailov، and Yushkevich، (2007)، Euler and Modern Science، Mathematical Association of America. ISBN 0-88385-564-X. Translated by Robert Burns. Demidov، S.S.، (2005)، "Treatise on the differential calculus" in آئیور گراٹان گنز، ed.، Landmark Writings in Western Mathematics. Elsevier: 191–98. Fraser، Craig G.، (2005)، "Leonhard Euler's 1744 book on the calculus of variations" in آئیور گراٹان گنز، ed.، Landmark Writings in Western Mathematics. Elsevier: 168–80. Gladyshev، Georgi، P. (2007)، "Leonhard Euler’s methods and ideas live on in the thermodynamic hierarchical theory of biological evolution،" International Journal of Applied Mathematics & Statistics (IJAMAS) 11 (N07)، Special Issue on Leonhard Paul Euler’s: Mathematical Topics and Applications (M. T. A.). Gautschi، Walter (2008). "Leonhard Euler: his life، the man، and his works". SIAM Review 50 (1): 3–33. doi:10.1137/070702710. Bibcode: 2008SIAMR..50....3G. http://www.cs.purdue.edu/homes/wxg/EulerLect.pdf. Heimpell، Hermann، Theodor Heuss، Benno Reifenberg (editors). 1956. Die großen Deutschen، volume 2، Berlin: Ullstein Verlag. Krus، D.J. (2001). "Is the normal distribution due to Gauss? Euler، his family of gamma functions، and their place in the history of statistics". Quality and Quantity: International Journal of Methodology 35: 445–46. 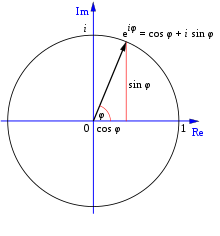 http://www.visualstatistics.net/Statistics/Euler/Euler.htm. du Pasquier، Louis-Gustave، (2008) Leonhard Euler And His Friends، CreateSpace، ISBN 1-4348-3327-5. Translated by John S.D. Glaus. Reich، Karin، (2005)، " 'Introduction' to analysis" in آئیور گراٹان گنز، ed.، Landmark Writings in Western Mathematics. Elsevier: 181–90. Richeson، David S. (2008)، Euler's Gem: The Polyhedron Formula and the Birth of Topology. Princeton University Press. Simmons، J. (1996) The giant book of scientists: The 100 greatest minds of all time، Sydney: The Book Company. Thiele، Rüdiger. (2005). The mathematics and science of Leonhard Euler، in Mathematics and the Historian's Craft: The Kenneth O. May Lectures، G. Van Brummelen and M. Kinyon (eds. )، CMS Books in Mathematics، Springer Verlag. ISBN 0-387-25284-3. "A Tribute to Leohnard Euler 1707–1783". میتھمیٹکس میگزین 56 (5). November 1983.